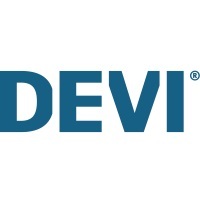 The DEVI Smart App is available from Google Play and App Store on iTunes. Keyword to search for is "DEVI Smart". The minimum requirements are iOS 7.1 or Android 4.1 . Choose the application you need. When you click on the app, you will get the application's page (you can find there description, screenshots, requirements and option to download the app). Once App is downloaded, the Installation flag will change to open. The application icon is now available on the iPhone/iPad desktop. Once App is downloaded the application icon is available on the phone/tablet desktop.